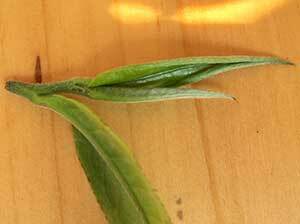 Is It From Old Tea Trees or Not? In recent years, teas made from the centuries old arbor tea trees (or ancient tea trees) have become highly sought after and are sold at high prices. Tea consumers not only value the organic nature of these teas, they also enjoy the flavor complexity and the energy (qi) offered by them. However, the supply of leaves from the old trees is limited, far less than the demand. To increase supply, a common practice of tea manufacturers is to mix the leaves from the old trees with leaves from the young trees or from the bushes but label them as if the tea is from the old trees. 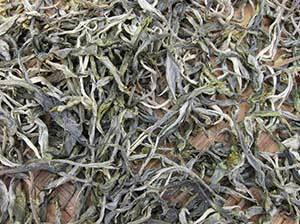 Therefore, the ability to judge the quality of the leaves' source is an important skill to have when buying Pu-erh tea. • More prominent side veins. • More down (silver furs) on the stem and on the bud. • When you rub the leaves with your fingers, they smell fragrant and floral. • The leaves are less glossy. • The stem is more bendable and flexible. • Less hairy down on the stem and on the bud. • When you rub the leaves with your fingers, the leaves smell grassy. • The leaves are glossier. • The stem is stiffer. Most of us do not buy the fresh leaves and thus would not have the opportunity to judge their type. 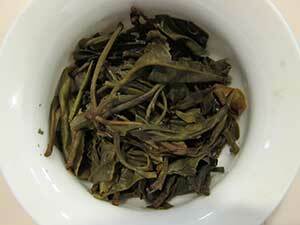 However, you may apply some of the same clues when you examine the dry tea leaves or the wet leaves. 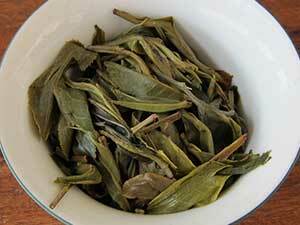 After you finish brewing the tea, look at the appearance and smell the aroma of the wet leaves. • They smell pure, fragrant and delightful. • The wet leaves are plump and supple. • The stem is flexible. • They smell mixed or grassy. 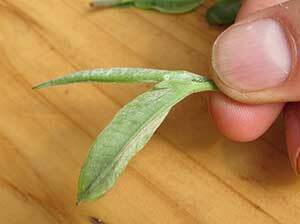 • The leaves and stem are thinner and less flexible. There is a stiff feeling when touched.